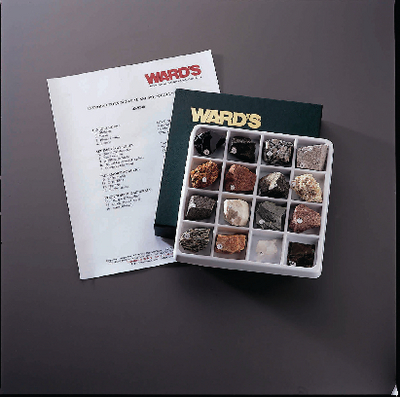 The larger hand samples show the features more clearly and are ideal for demonstration or display. The samples come with individual, labelled plastic trays and an identification list. Contents: 16 numbered samples, 3" x 4"